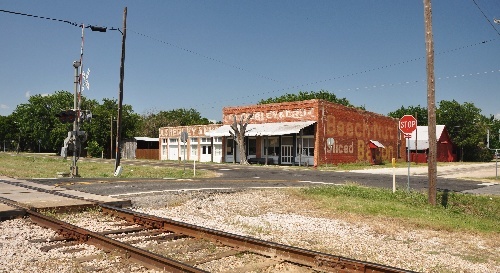 Early settlement occurred in the mid 1840s but it wasn't until after the Civil War when storekeeper John L. Greer opened the community's first business. 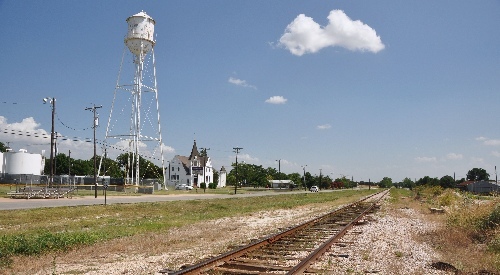 The railroad (The Houston and Texas Central) arrived in 1873 but the town wasn't platted for ten more years. The post office was granted in 1880 when there were only 20 people living here. 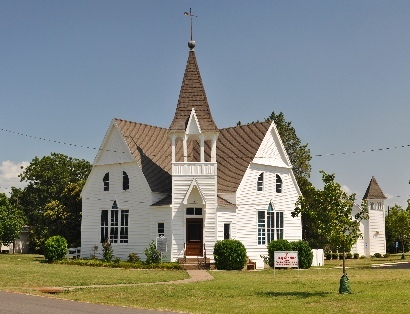 The population was nearing 200 by 1890 and reached 538 by the late 1920s. 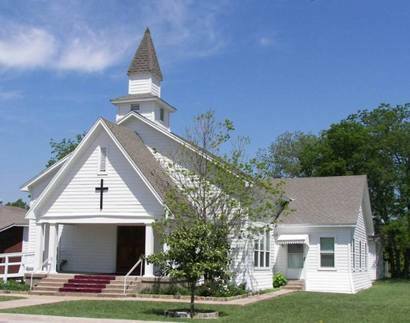 There's some question over the origin of the town's name. It could have been John Greer's daughter or the daughter of railroad official George Quinlan. A third story has Anna Quinlan being married to George Quinlan and being the daughter of John Greer. 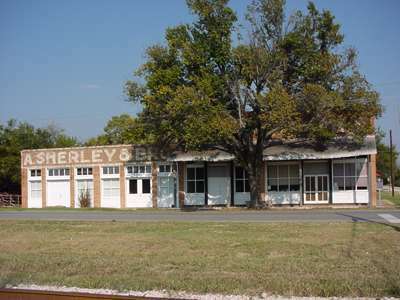 The fourth (and thankfully the last) story says that Anna was Anna Huntington, the daughter of man who built the short-lived Dallas-Denison railroad. 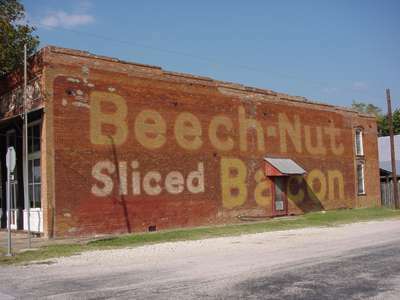 Ghost sign "Beech-Nut Sliced Bacon"